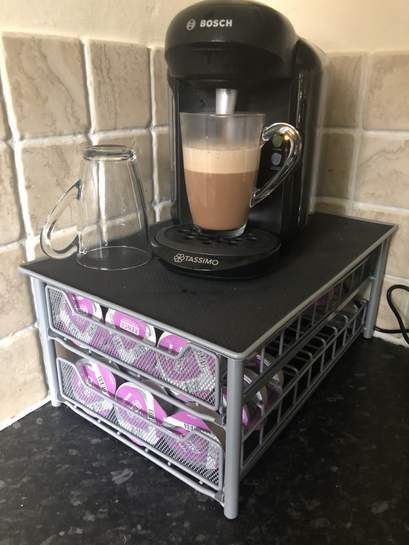 Keep your coffee pod capsules tidy and close to hand with this stylish and space saving Tassimo pod holder stand and dispenser. Its compact style keeps your coffee capsules easily accessible for those early morning coffees whilst keeping your kitchen tidy. The unit is finished with a non-slip surface, making it the ideal place to store your coffee machine and coffee. HOLDS 60 - The sliding drawer conveniently holds up to 60 Tassimo T-Disc’s making it effortless to access your desired pod. 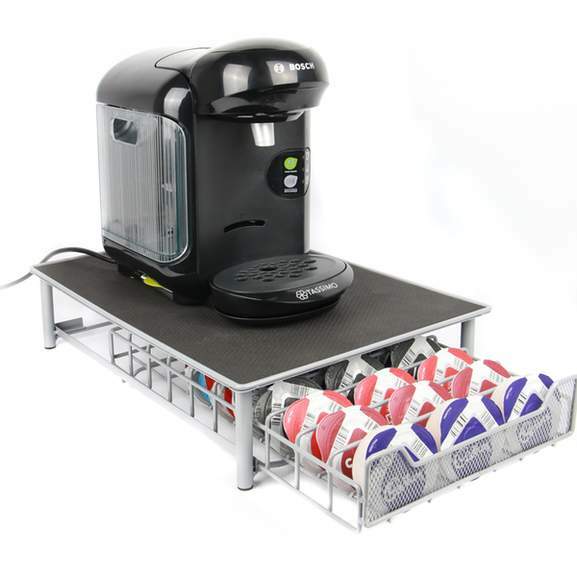 UNIVERSAL FIT - Our pod holder drawer will fit most Tassimo coffee machines (please check size before ordering). 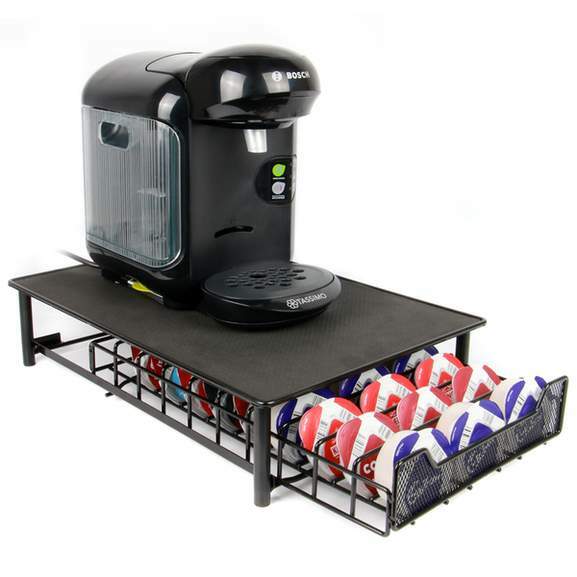 NON-SLIP - The non-slip surface provides a secure and stable platform for your Tassimo machine. SIZE - Unit Dimensions - 28cm x 40cm x 9.5cm. 2 YEAR GUARANTEE - The Maison & White Tassimo pod holder comes with a 2 year manufacturer warranty. Wife got a couple of these for pods, they are fine, if a little scratchy as you pull the drawers in / out. Decided that pods are doing no good to environment, and ditched our Tassimo for an Automatic (Delonghi) bean to cup machine and not looked back! Cost savings and greener no plastic waste will mean it pays off quickly! Granted - not for all, but worth a consideration! I keep my pods in an old ice-cream container in a cupboard,It doesn't take up any worktop space at all! Sometimes I look for my favourite colour, other times I do a "lucky dip" and grab one with my eyes shut - talk about taking a walk on the wild side? I'm just that kinda guy! 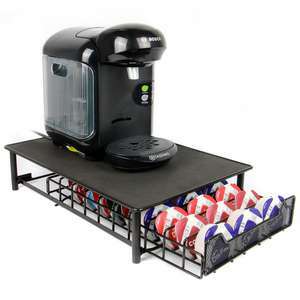 I have one on these, save space as the coffee machine goes on top. Mine takes tassimo pods. I own one too and it's an excellent accessory for storage of pods. Wife got a couple of these for pods, they are fine, if a little scratchy …Wife got a couple of these for pods, they are fine, if a little scratchy as you pull the drawers in / out. Decided that pods are doing no good to environment, and ditched our Tassimo for an Automatic (Delonghi) bean to cup machine and not looked back! Cost savings and greener no plastic waste will mean it pays off quickly! Granted - not for all, but worth a consideration! I'm looking to do the same due to the plastic in the pods. Around how long would it take to make say an espresso in your super duper new machine? Espresso within 2 mins of hitting power button, it does a warmup and purge of tank. I have this guy but at a far lower price than that! I'm looking to do the same due to the plastic in the pods.Around how long …I'm looking to do the same due to the plastic in the pods.Around how long would it take to make say an espresso in your super duper new machine? I have this one and use lavazza coffee for espresso. Lovely. I have one of these, great space saver. It looks more like an outdoor thing than something stylish in the kitchen. Not my cup of tea. Grabbed the nespresso one, missed it last time it was on offer. Have some heat! Thank you! My dad saves all his empty pods up in a black bin bag and when it's full, he burns them in his back garden. He says that they catch light very quickly and he doesn't have to pour on that much diesel to get them going. He's doing his bit for the environment because they aren't going to landfill or in the sea. My dad saves all his empty pods up in a black bin bag and when it's full, …My dad saves all his empty pods up in a black bin bag and when it's full, he burns them in his back garden. He says that they catch light very quickly and he doesn't have to pour on that much diesel to get them going. He's doing his bit for the environment because they aren't going to landfill or in the sea. I just throw these in a bowl in my cupboard! Is this a paid placement...? Looks cheap and the use of coffee pods is incredibly irresponsible. They're a blight on the environment. 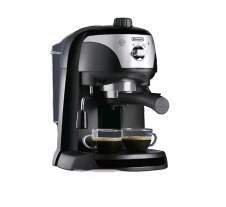 On average i pay £3 for 8 costa cappuccinos or 16 espressos buying direct drom Tassimo website. Cant grumble at that really. Luckily i no longer have a mortgage. On average i pay £3 for 8 costa cappuccinos or 16 espressos buying direct …On average i pay £3 for 8 costa cappuccinos or 16 espressos buying direct drom Tassimo website. Cant grumble at that really. Luckily i no longer have a mortgage. LOL, you're Not very good at maths are you? You can do better...get yourself a bean to cup machine and enjoy the aroma of freshly ground beans! You can do better...get yourself a bean to cup machine and enjoy the aroma …You can do better...get yourself a bean to cup machine and enjoy the aroma of freshly ground beans! That's not a bean to cup! that's a manual espresso machine! Makes great coffee but takes soooo long. You know you can get them for something like £3 a pop in B&M right? Lidl also do compatible pods.